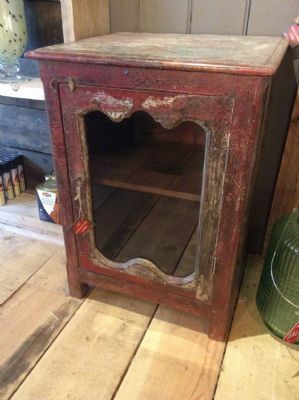 A stunning old cupboard with a beautiful colour to it after years of use. It has a stunning leaf design catch to keep the door closed. This would look beautiful in a hallway, kitchen or even as a bedside unit. Due to the size and weight of this item it is a collection only item.